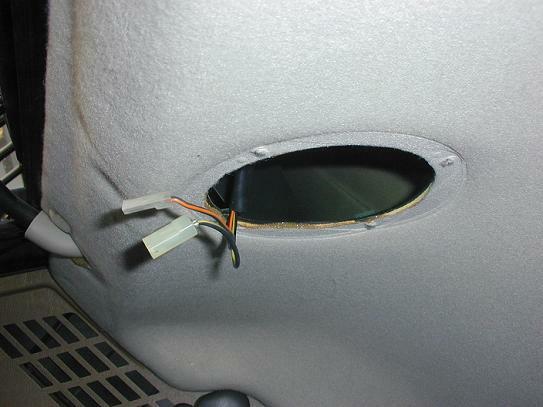 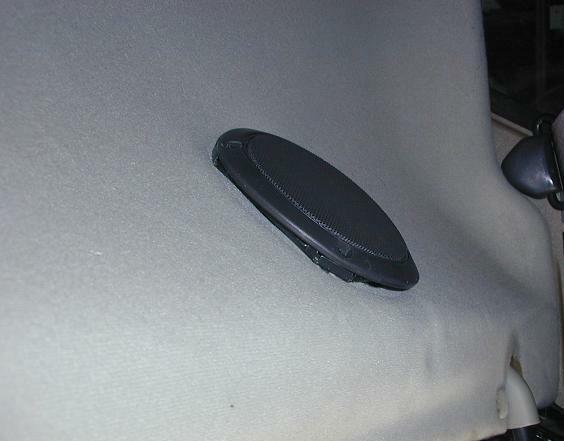 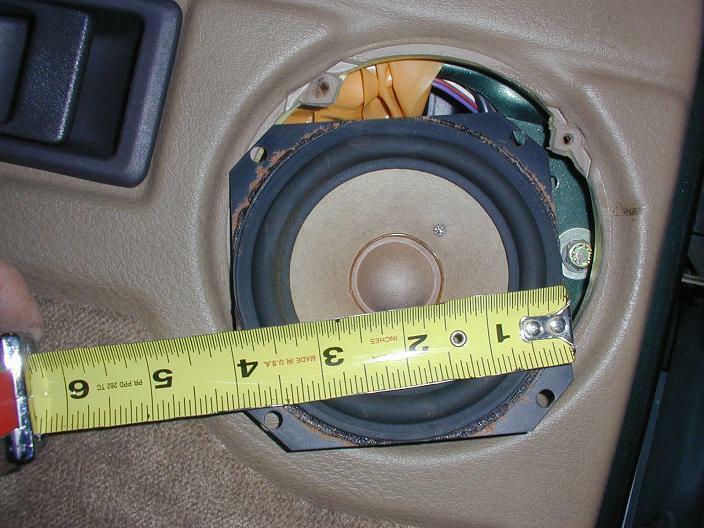 Below are the factory rear 4 inch speakers mounted above rear hatch. 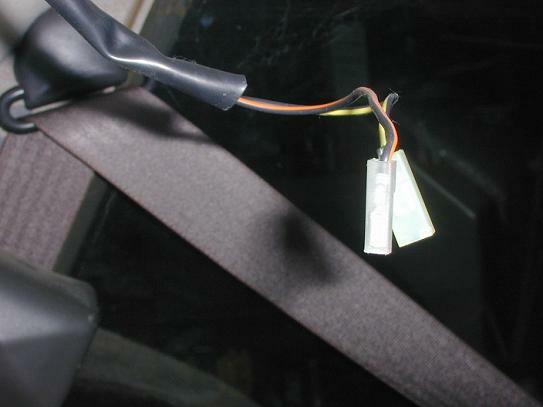 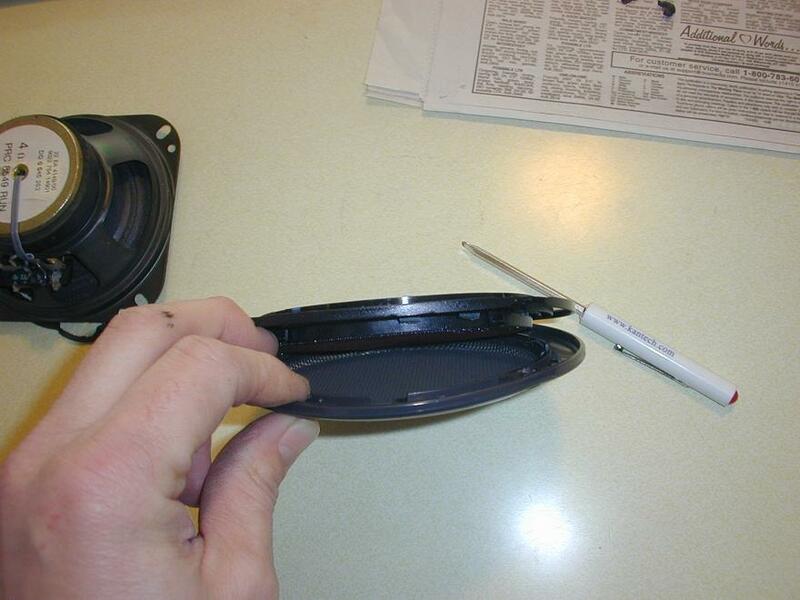 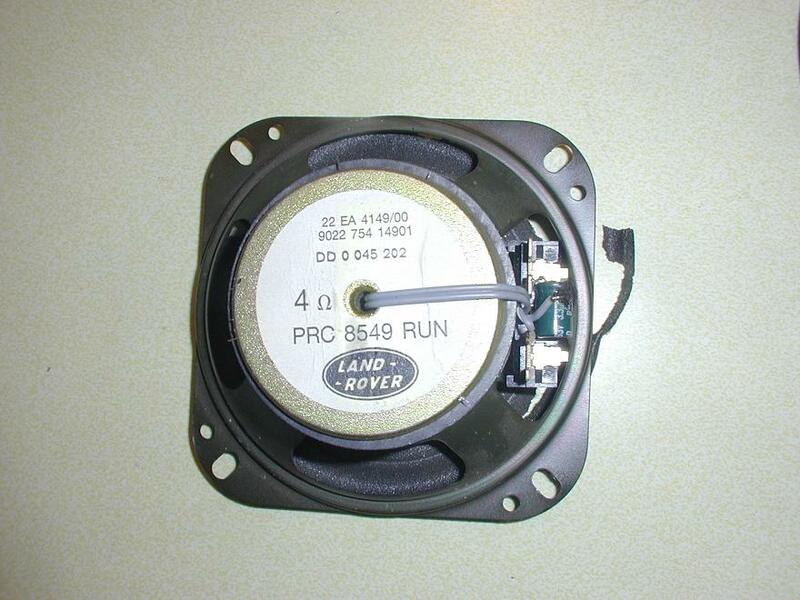 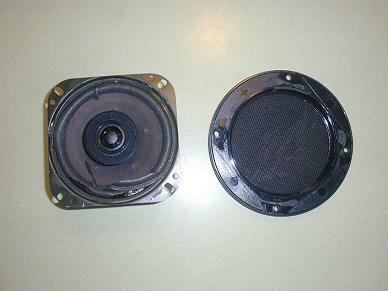 The rear speaker grilles are made up of 2 grilles, the inner grille was glued to the speaker and you'll ruin the speaker taking the grille off the speaker unless you are very very careful. 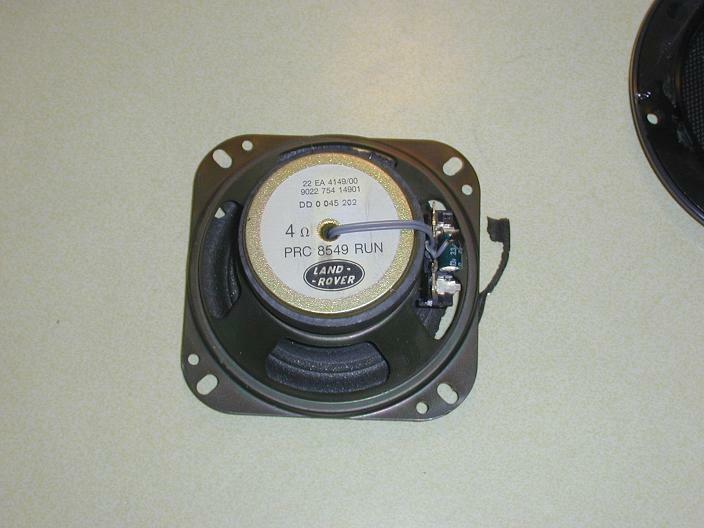 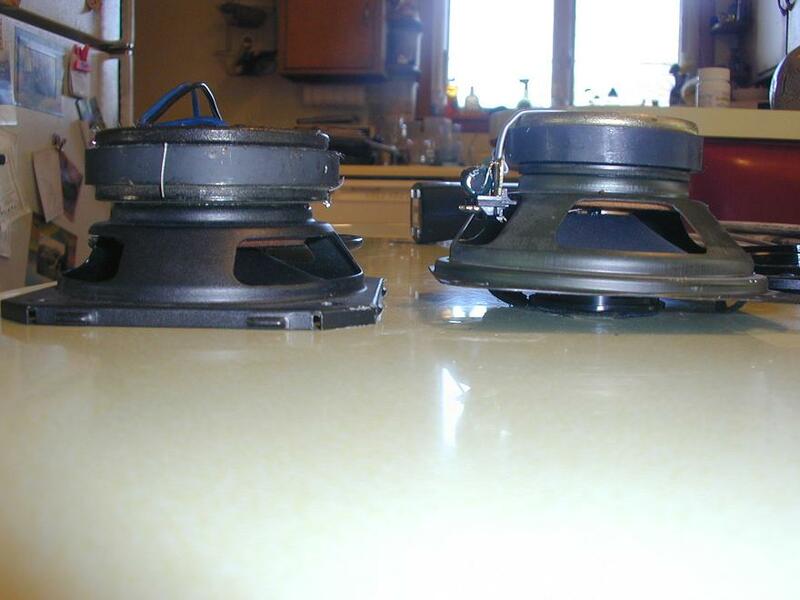 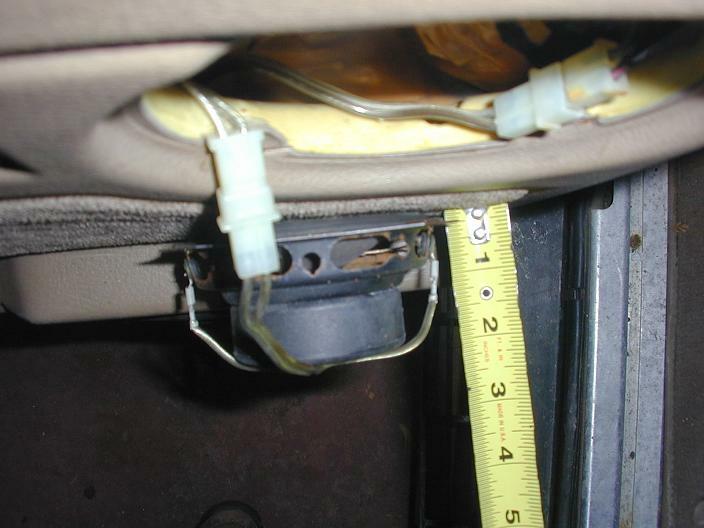 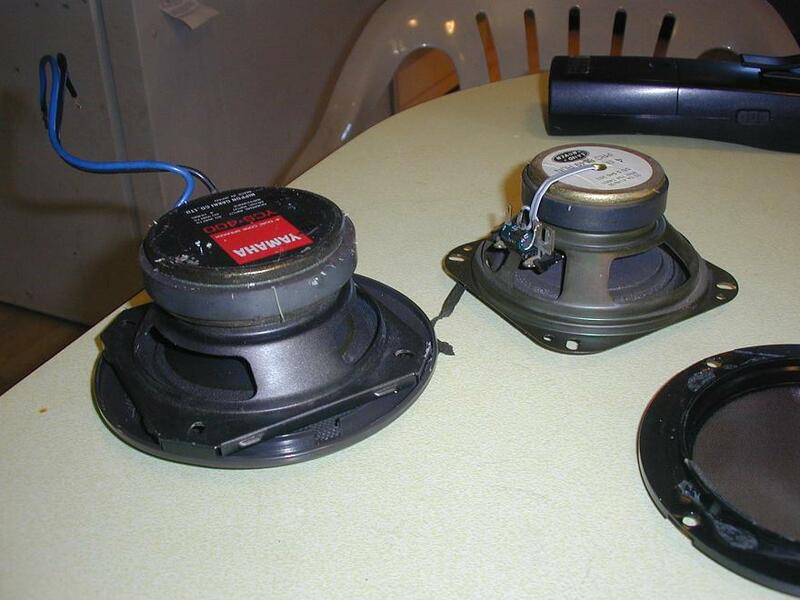 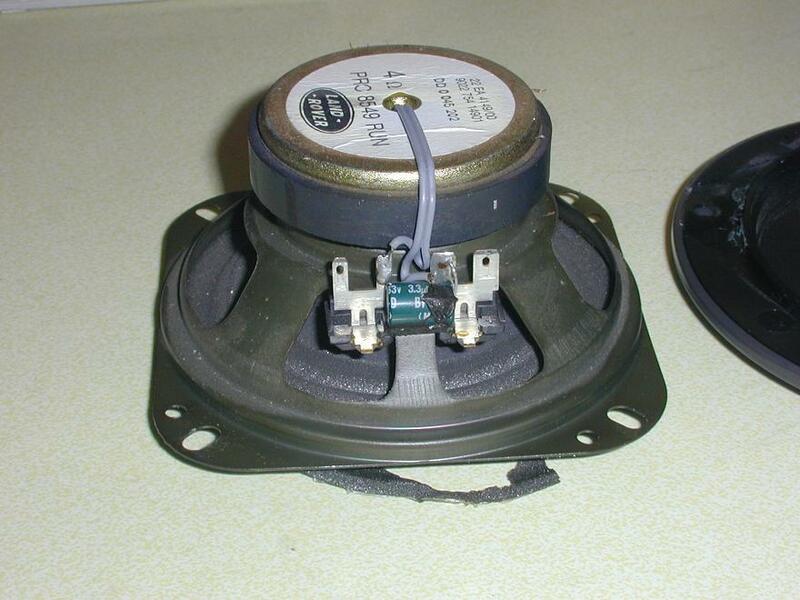 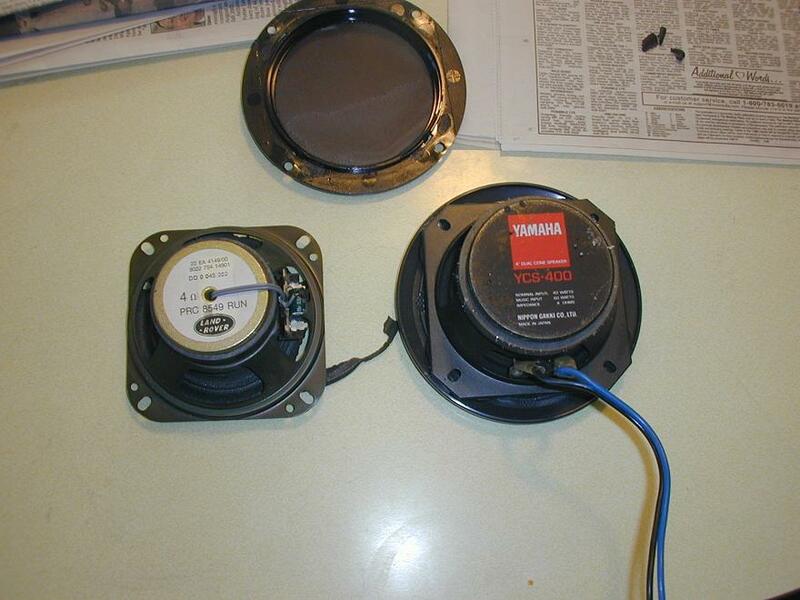 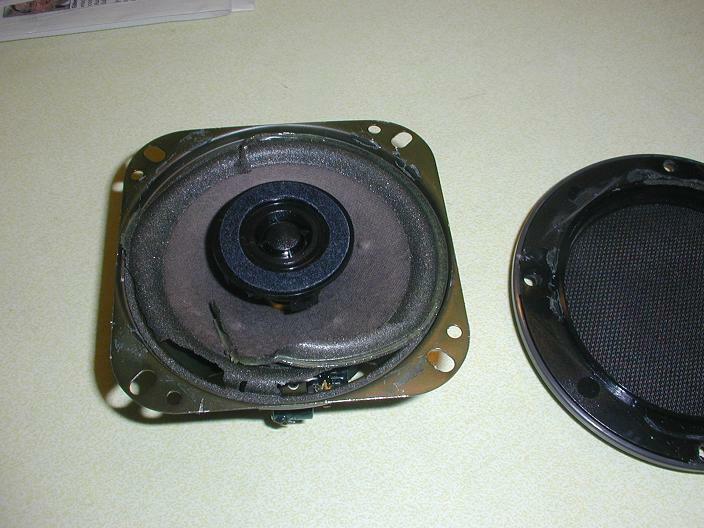 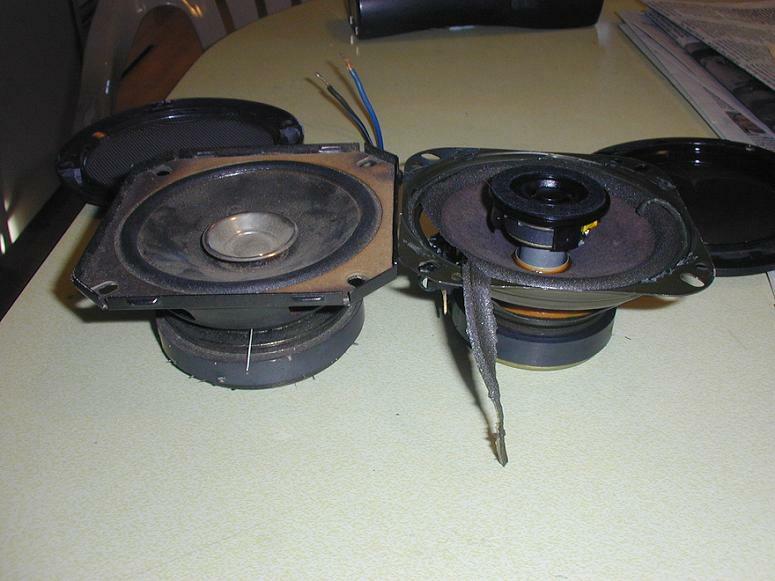 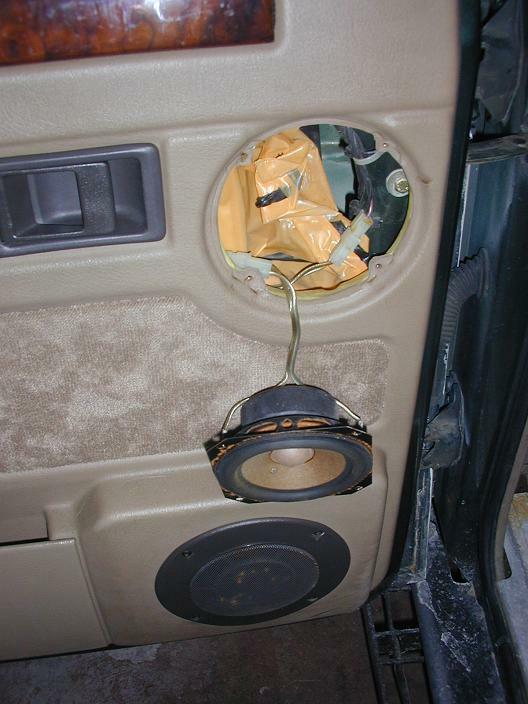 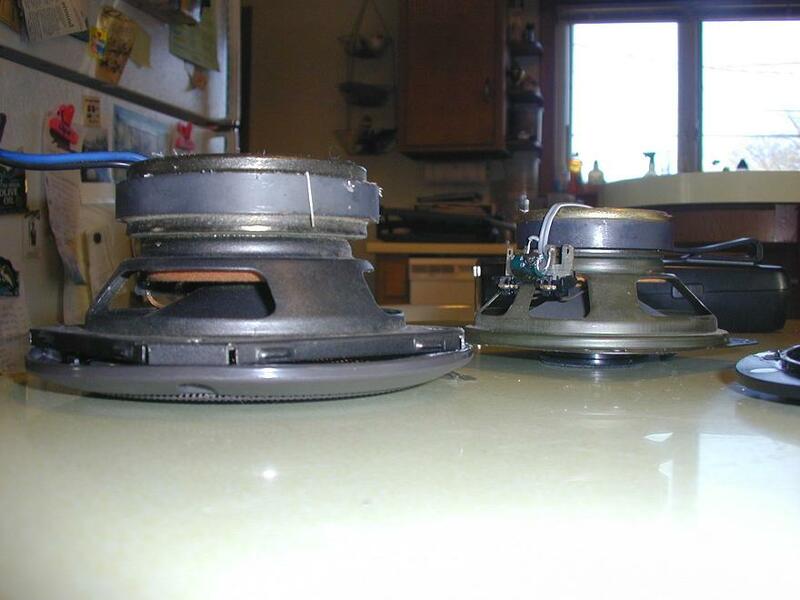 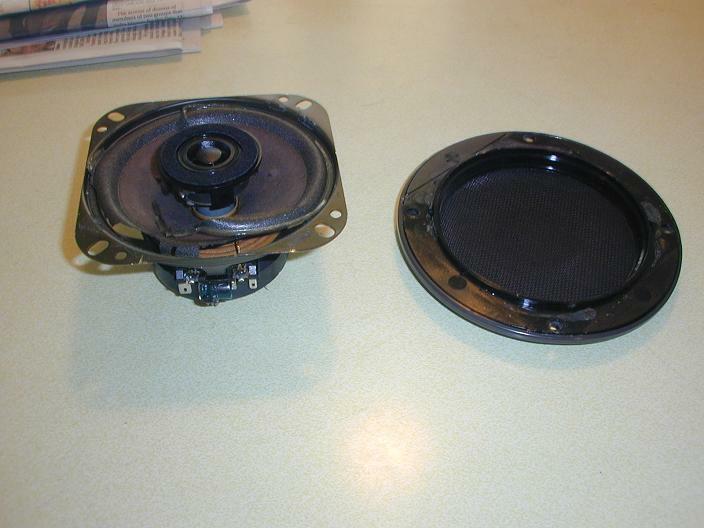 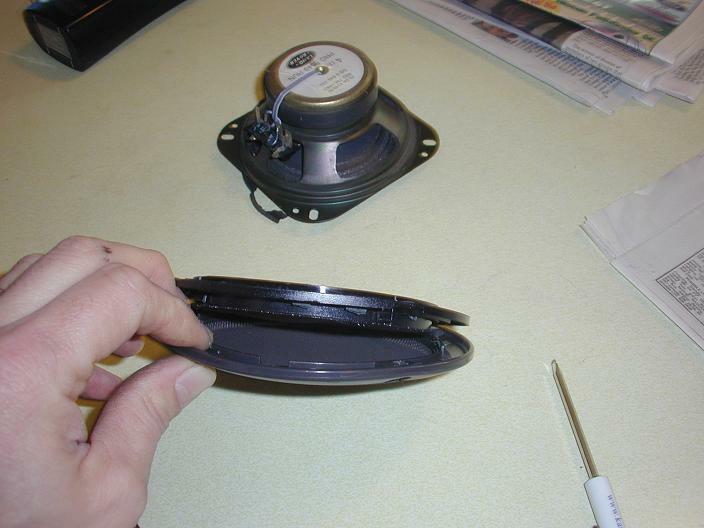 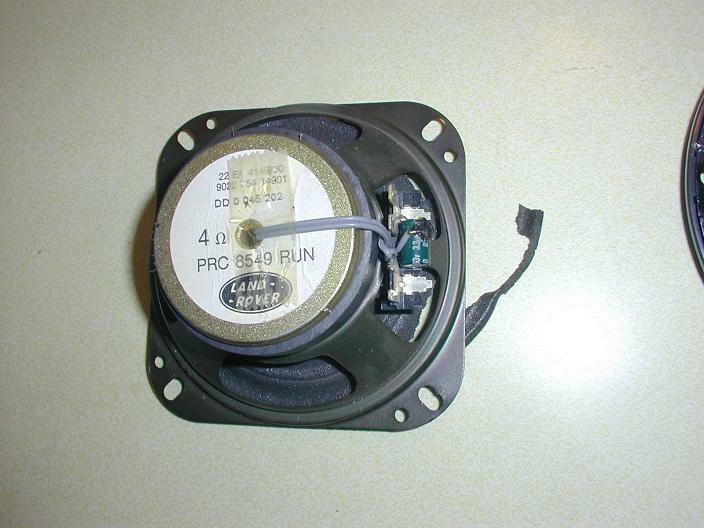 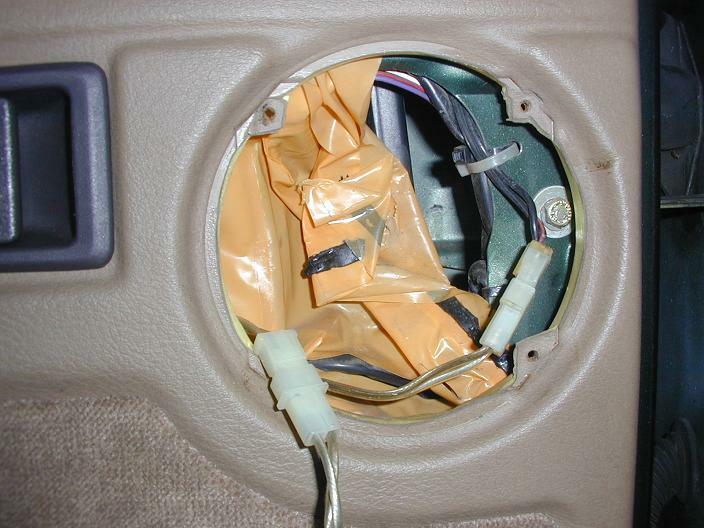 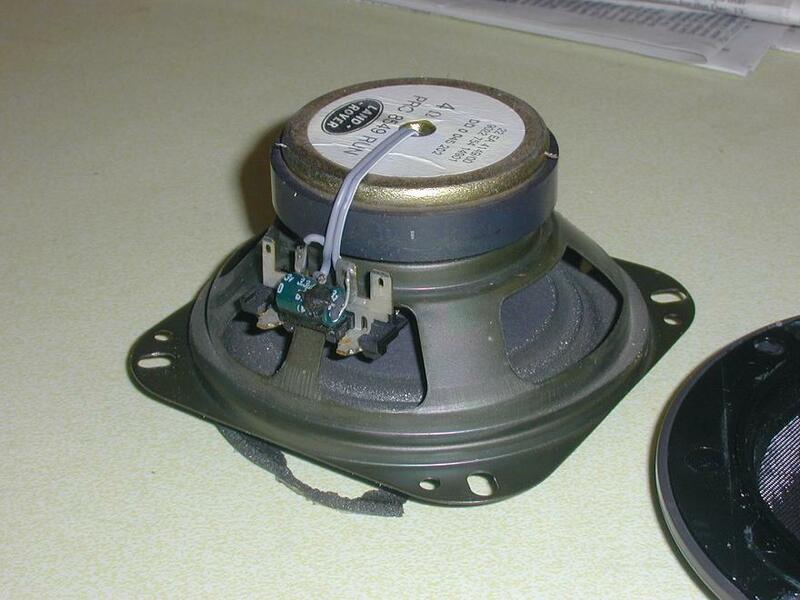 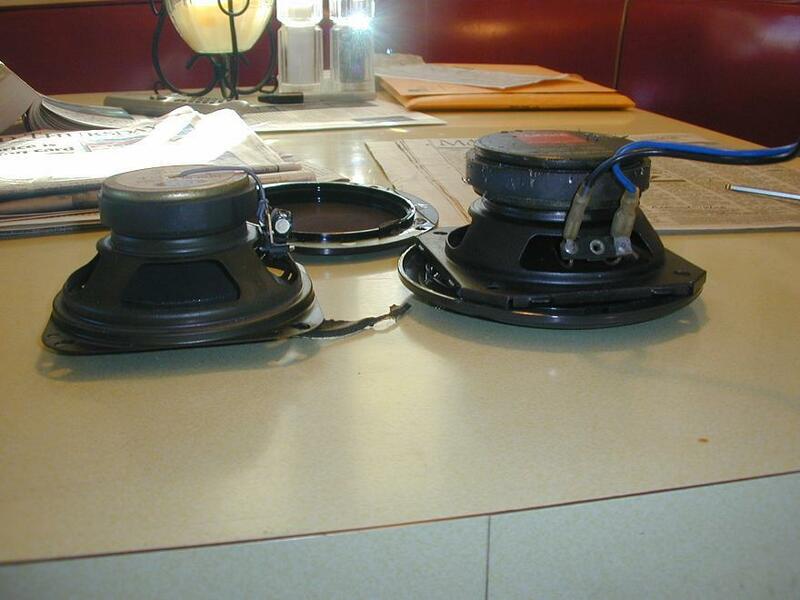 The original rear deck speakers next to some older Yamaha 4inch speakers I had "in stock" to replace the OEMs. 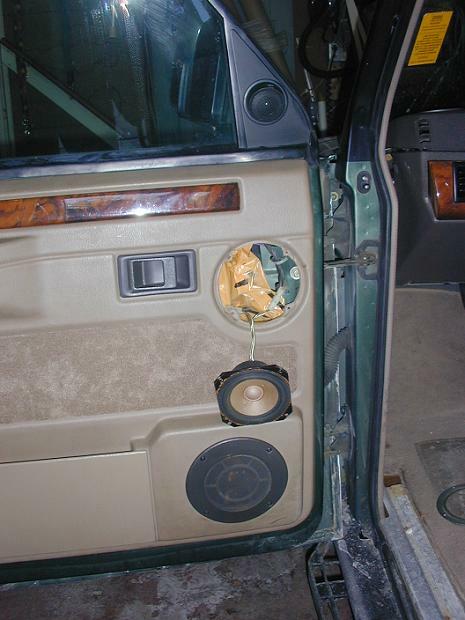 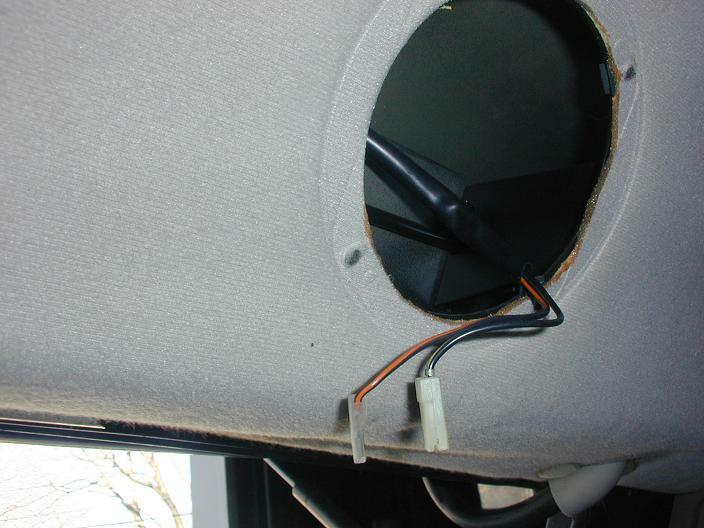 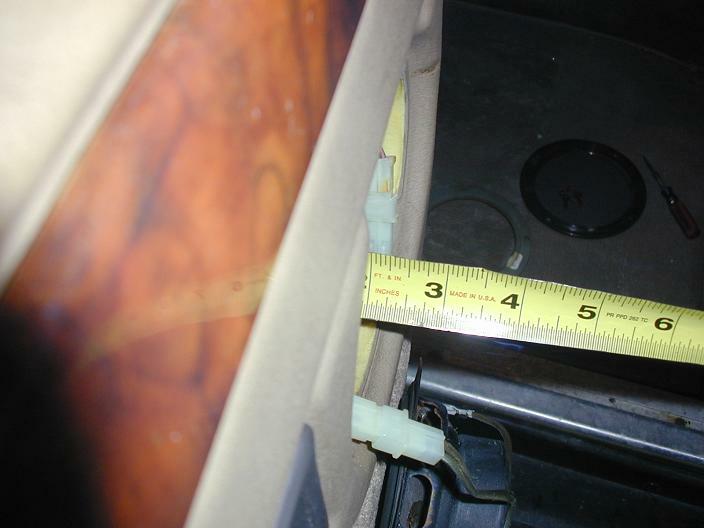 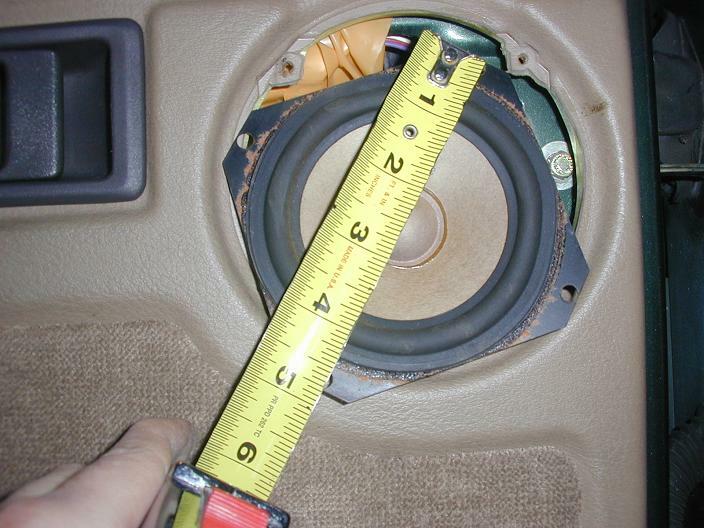 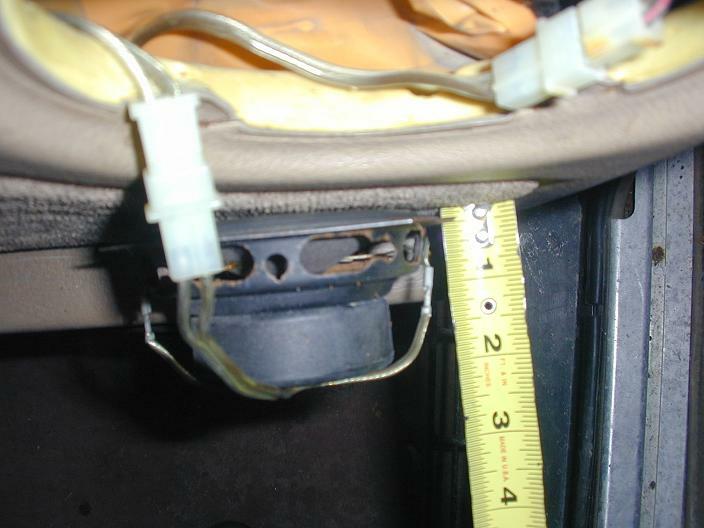 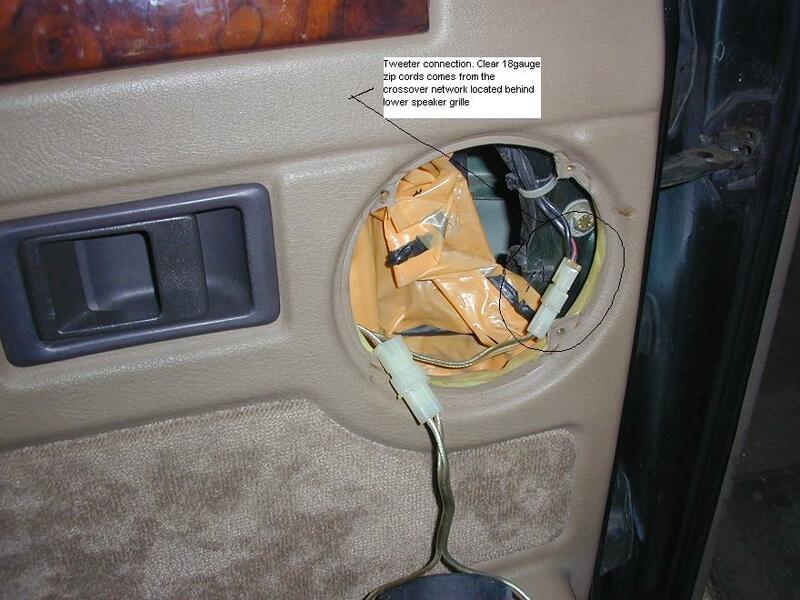 To use the original grilles, and make everything flush mount, the speaker's mounts must be flat, mine were not, so you can see I can't make the speaker sit flat.